Whisk the eggs and place in a shallow dish. Combine the bread crumbs, panko crumbs, cheese, parsley, oregano, salt & garlic powder in another shallow dish. Heat oven to 400°F. *You can cut the edges of the eggplant off before cooking if you’re not a fan of the skin. Heat 1-2 tablespoons extra virgin olive oil in a large skillet per group of eggplant slices. 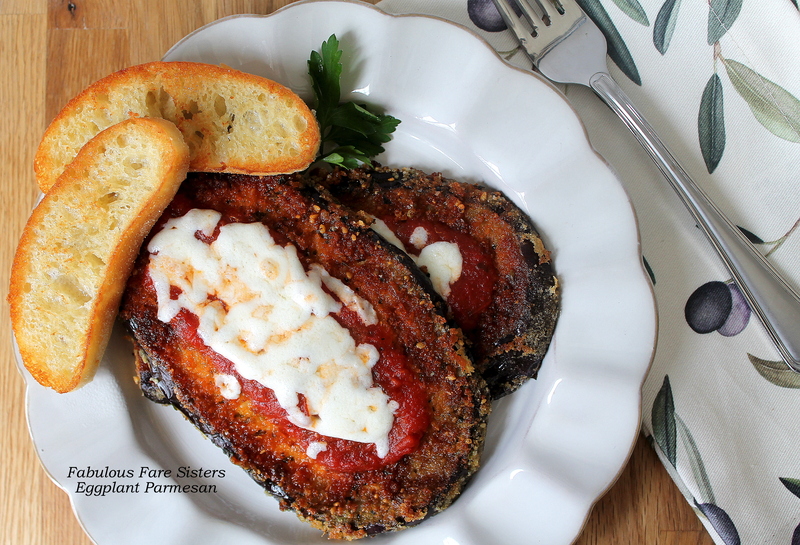 Dip the eggplant slices in the egg mixture and coat both sides; dip in the bread crumb mixture and coat both sides. Place the first group of eggplant slices in heated skillet (to fit the pan – do not overcrowd) and cook each side 5-6 minutes on medium to medium-low heat until browned and crispy; adding additional olive oil if needed. Remove to a baking tray and continue to cook remaining eggplant slices. When all eight slices of eggplant are on the baking tray, scoop any remaining cooked crumbs from the skillet back onto the eggplant slices then place tray in the heated oven and bake 10 minutes. Take the tray out and increase oven to Broil. Spread each eggplant with 2-3 tablespoons of warmed pasta sauce (I use Classico Traditional Sweet Basil pasta sauce) and divide the shredded cheese on the top of each eggplant. Place under the broiler until cheese has melted. Serve immediately; scooping additional pasta sauce on top if you like! Makes 2-4 servings. 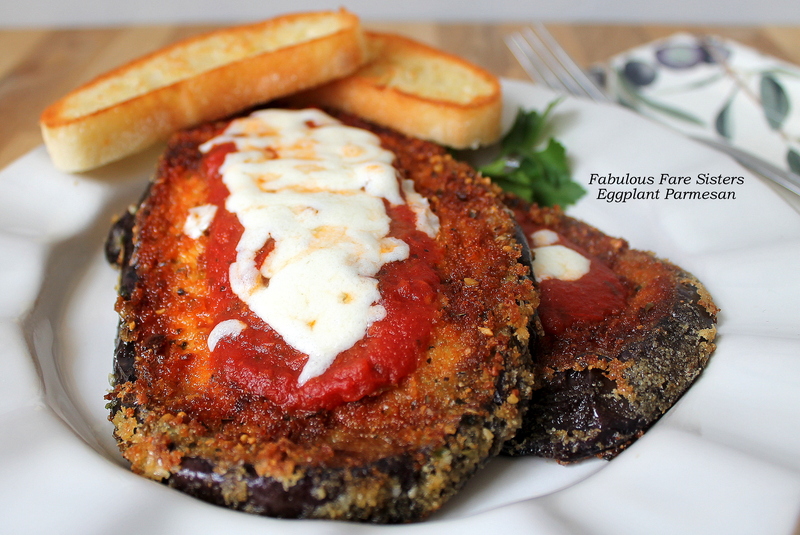 Great take on eggplant parmigiana Linda – I love that each slice gets a crispy coating….definitely one I’ll try! One of my absolute FAVORITE dinners! YUM!!! Yum! It’s too close to lunch I’m ready for this!